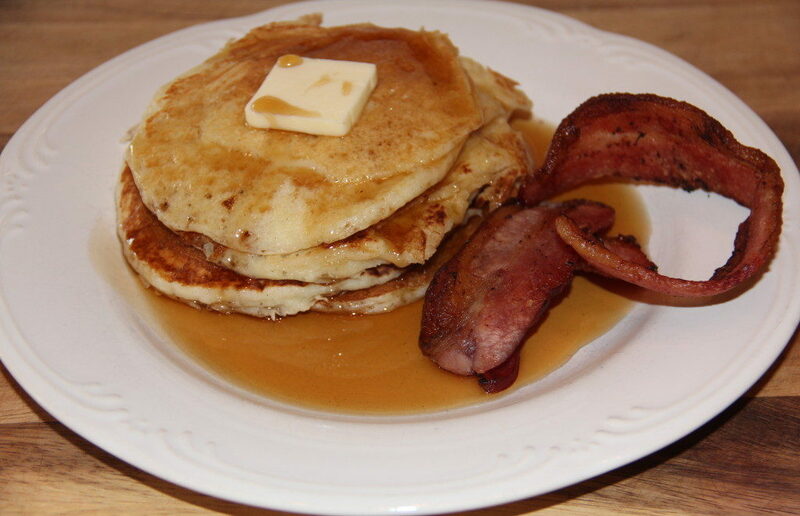 Easy Pancakes - Buttermilk Pancakes Just Like the Diner! Easy Pancakes from Scratch–homemade buttermilk pancakes just like the diner makes! What’s the secret to the most amazing buttermilk pancakes? Just a touch of lemon juice and brown sugar. 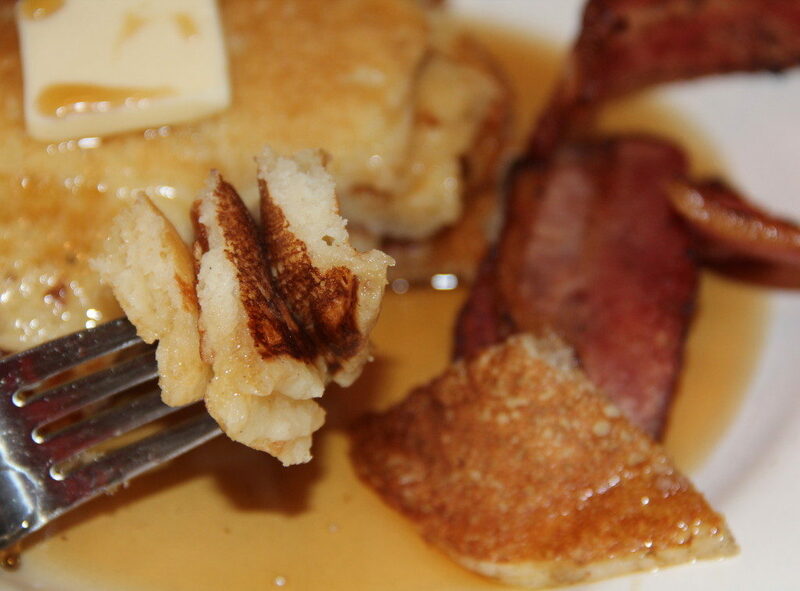 Other than that, these easy pancakes are ordinary. But the lemon juice and brown sugar brightens the flavor and makes these pancakes mouth-wateringly awesome. Brian’s sweet girlfriend, Caroline, made these easy pancakes for herself and her roommates a few weeks ago, and took these photos. 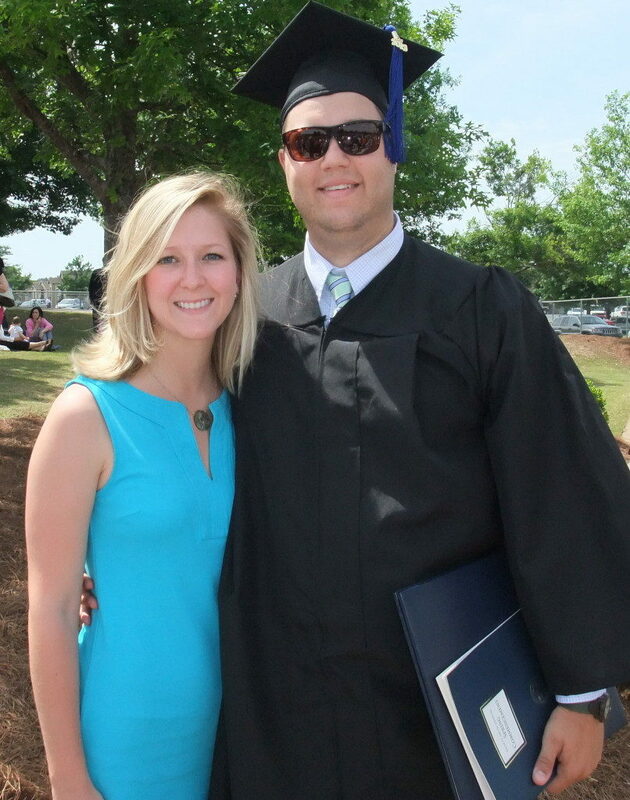 Check out that pretty blue plate above…I think I need to hire her for my food stylist! For these buttermilk pancakes, mix the dry ingredients first: flour, sugar, brown sugar, baking powder, baking soda and salt. In a separate bowl, stir together the wet ingredients: buttermilk, eggs, melted butter, vanilla and lemon juice. Then mix the wet ingredients into the dry until the batter is lumpy. Some baked cheese grits would go great with these buttermilk pancakes! 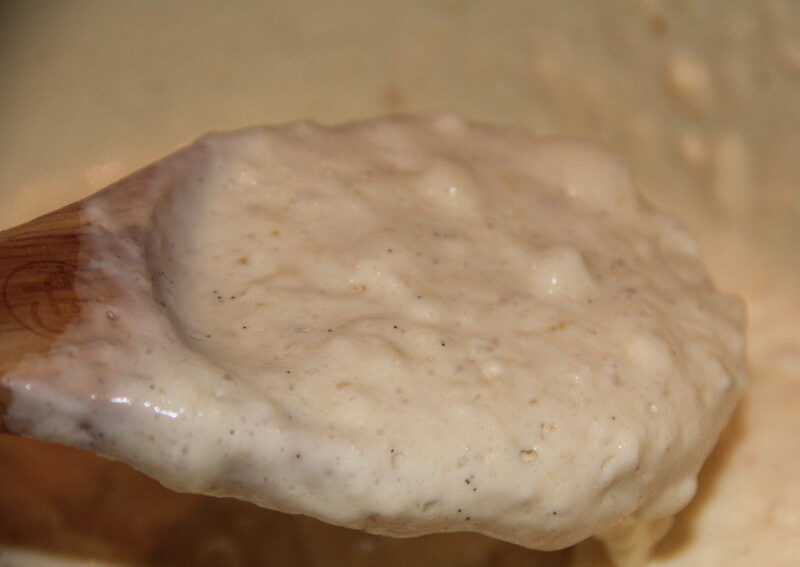 You can save the batter like this in the refrigerator for a few days. Caroline actually froze the batter and made the pancakes a few days later and they turned out perfectly. When ready to cook, heat the griddle to 375° or heat a large lightly greased skillet on medium to medium-high. 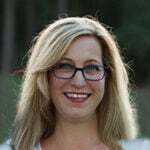 When ready, drops of water should sizzle and evaporate. Then pour out about a 1/4 cup of batter for each pancake. Cook until bubbles appear on the top and burst. Then gently scoop the pancake with the spatula and turn it over. Try not to flop it back on the griddle because that will make it deflate somewhat. The second side will probably only take about 30 seconds to finish and turn light brown. If you’re cooking a lot of pancakes, you can keep them warm in the oven on 200° or you can just serve as you go. These pancakes freeze well also. I like to freeze them in serving sizes, two or three together, and wrap in wax paper, then foil. 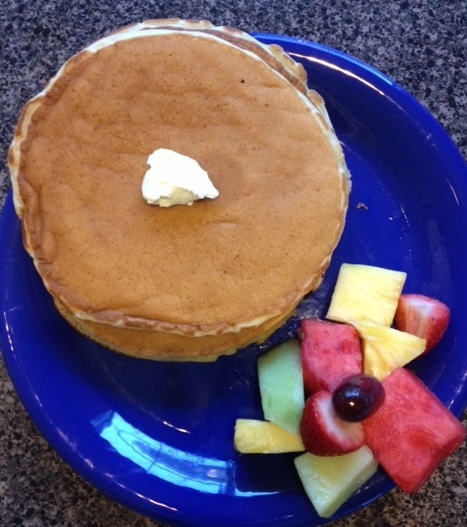 Easy Pancakes from Scratch--homemade buttermilk pancakes just like the diner makes! 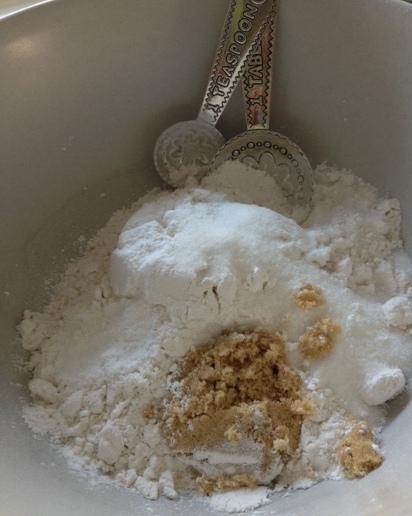 Gently stir wet ingredients into dry ingredients just until mixed. Heat griddle to 375. 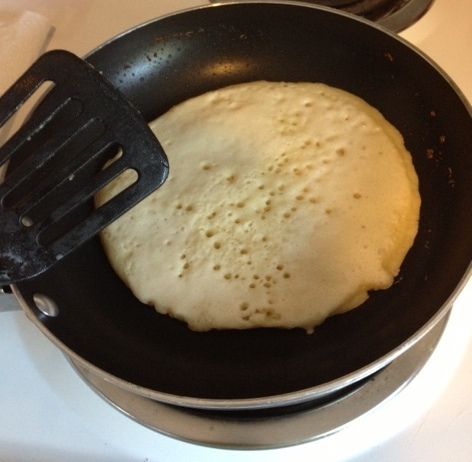 Pour 1/4 cup batter for each pancake onto griddle. Flip when bubbles cover the top of the pancake, about 2 minutes. You may have to turn the heat down just a little. Cook on the other side for just about a minute.